Chanel and Jatin celebrated with Friends and Family at their South Asian, Hindu Ceremony at the Grand Empire Banquet Hall, on June 30th 2018. The Trade Sensation Team was delighted to Create the Bride and Groom's Grand Backdrop for the Ceremony. The Backdrop was full of stunning pinks, reds and white. Melissa and Luis had their Stunning Cherry Blossom-themed Wedding Reception at the Eagles Nest Golf & Country Club on the evening of July 28th 2018. Such a wonderful night filled with Love & Celebration, their Cherry Blossom Themed Decor did not go unnoticed. 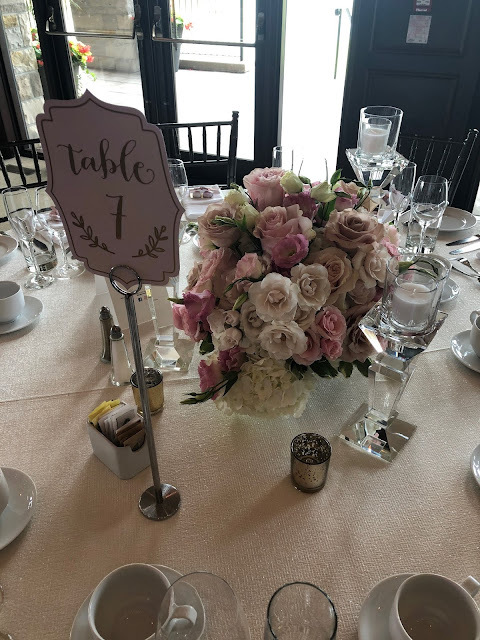 Stunning shades of Pink, White and Cream florals were featured on the guest tables, head table and all throughout the reception space. Candlelight gave an ambiance to their special day, and the M & L Vinyl Floor Logo gave a personal touch. 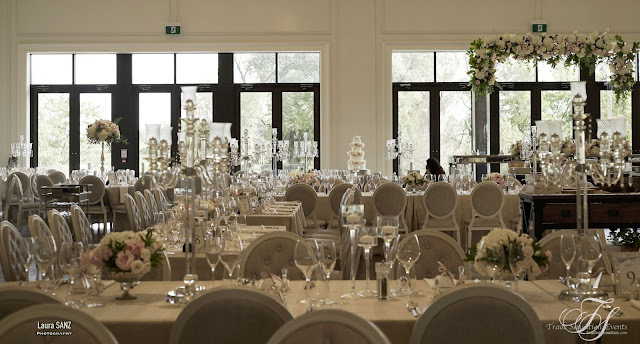 The Trade Sensation Team had the Honour and Pleasure of being apart of Luis and Melissa's Wedding Day.